The Pakistan demand for Pakistan was formalised gradually. On 23 March 1940, the League moved a resolution demanding a measure of autonomy for the Muslim majority areas of the subcontinent. This ambiguous resolution never mentioned partition or Pakistan. In fact Sikandar Hayat Khan, Punjab Premier and leader of the Unionist Party, who had drafted the resolution, declared in a Punjab assembly speech in 1941 that he was opposed to a Pakistan that would mean “Muslim Raj here and Hindu Raj elsewhere . After withdrawing its support to the Cabinet Mission plan, the Muslim League decided on “Direct Action” for winning its Pakistan demand. It announced 16 August 1946 as “Direct Action Day”. On this day, riots broke out in Calcutta, lasting several days and leaving several thousand people dead. By March 1947 violence spread to many parts of northern India. It was in March 1947 that the Congress high command voted for dividing the Punjab into two halves, one with Muslim majority and the other with Hindu/Sikh majority; and it asked for the application of a similar principle to Bengal. By this time, given the numbers game, many Sikh leaders and Congressmen in the Punjab were convinced that Partition was a necessary evil, otherwise they would be swamped by Muslim majorities and Muslim leaders would dictate terms. In Bengal too a section of Bengali Hindus, who wanted political power to remain with them, began to fear the “permanent tutelage of Muslims” (as one of their leaders put it). Since they were in a numerical minority, they felt that only a division of the province could ensure their political dominance. Amidst all this turmoil, one man’s valiant efforts at restoring communal harmony bore fruit. 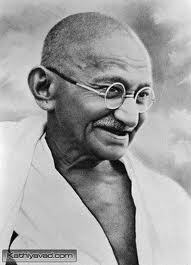 The 77-year-old Gandhiji decided to stake his all in a bid to vindicate his lifelong principle of non-violence, and his conviction that people’s hearts could be changed. He moved from the villages of Noakhali in East Bengal (present-day Bangladesh) to the villages of Bihar and then to the riot-torn slums of Calcutta and Delhi, in a heroic effort to stop Hindus and Muslims kill each other, careful everywhere to reassure the minority community. In October 1946, Muslims in East Bengal targeted Hindus. Gandhiji visited the area, toured the villages on foot, and persuaded the local Muslims to guarantee the safety of Hindus. Similarly, in other places such as Delhi he tried to build a spirit of mutual trust and confidence between the two communities. 1946 : August- The Muslim League decides on “Direct Action” for winning Pakistan. Violence breaks out between Hindus-Sikhs and Muslims in Calcutta, lasting several days and leaving several thousand people dead. Snuffed Out : Put an end to; kill. Eg: The Nazis snuffed out the life of many Jewish children. Harrowing : extremely painful, to wound the feelings. Eg: Partition was a harrowing experience to many. Wretchedness : very unfortunate in condition or circumstances; miserable; pitiable. Be all ears : to be very eager to hear what someone is going to say. Eg : I was all ears to hear her story. Vindicate : To clear of accusation, suspicion, or doubt with supporting arguments or proof.